I did 10 push ups a day 6 to 7 days a week to see if 10 push ups a day was enough to increase my strength. Does doing push ups every day build muscle? Push ups work your chest, triceps, shoulders and abs. Some variations work your forearms. To build muscle you need to challenge yourself. If you do difficult workouts on a regular basis then the exercises build muscle. If the workouts become too easy then you stop building muscle. Can doing push ups help you build muscle? A good way to find out is to see how many you can do in a row. If you can not do 100 in a row then you can improve. Another good way is to try difficult variations. Most people have trouble doing finger and handstand push ups. I just did 4 finger push ups and 6 wall handstand push ups. It is fairly easy to increase the difficulty without increasing the number of reps. You can change your grip, your grip width, the position of your feet and the amount of weight. If you can increase the difficulty of your workout then doing push ups every day can help you build muscle. Exercising too frequently can stop you from building muscle. You may need to take one or two days off a week. Pay attention to how you feel. If you get weaker or do not improve after a difficult workout then it means your muscles need more rest. Doing push ups almost every day is better than doing them every day. If you are doing other exercises that work the same muscles then will need more time to recover. How many should I do to see results? You could see results doing 100 a day. I did a 100 push ups a day challenge a while ago. Do you need to do 100 a day to see results? Is 10 a day enough? To see results you need to improve again and again. You need to increase your strength or endurance. The only way to do that using regular push ups is to increase the number of reps. Keep increasing the number of repetitions until you have the results you want. Sometimes reducing the number of reps can give you better results. 8 to 12 reps can be better than 16 to 24 reps. Weight lifters limit the number of repetitions when strength training. Instead of increasing the reps they increase the resistance by adding more weight. If you do push ups as a strength exercise then you should not need to increase the number of repetitions. To find the minimum number you should be doing to see results focus on strength. Instead of increasing the number of reps switch to more difficult variations. If your push up workout is difficult and you keep improving then you should see results. Increasing your strength means you are building muscle. If you just do the same workout every day then your body will not change. 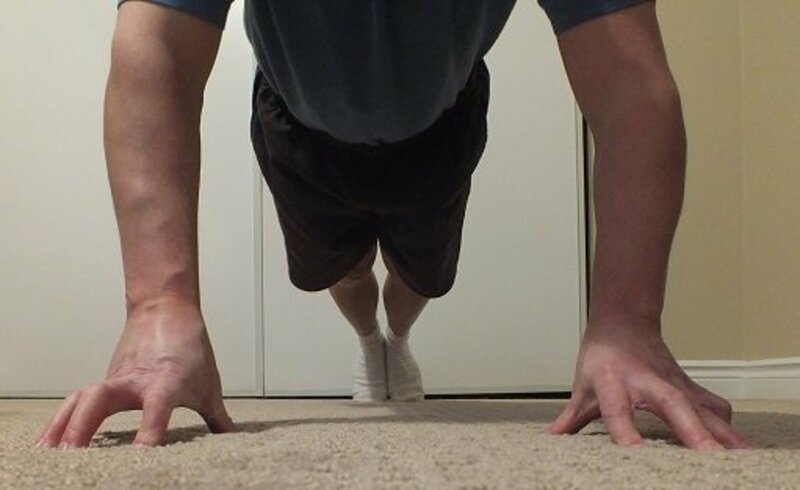 You can make push ups easier by doing them at an incline with your hands higher than your legs. You can make push ups harder by doing them at a decline with your hands lower than your legs. 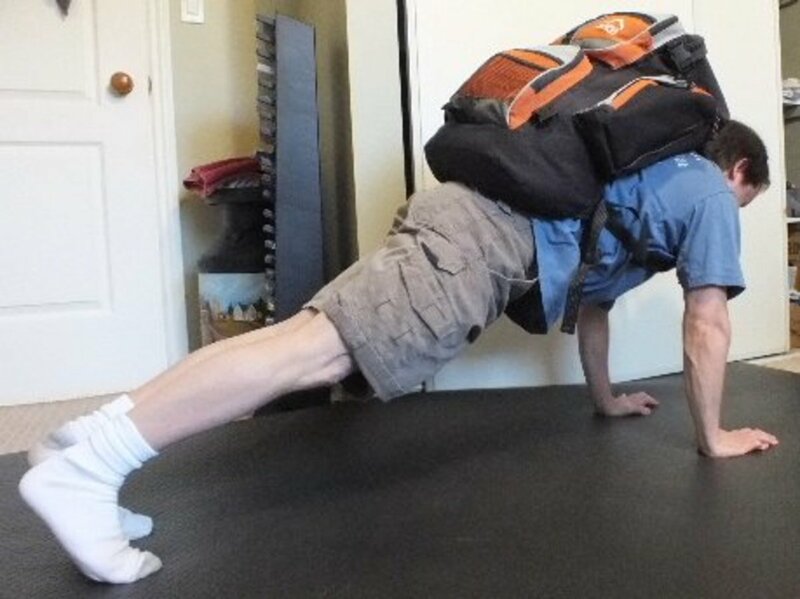 Wearing a heavy backpack or weight vest is another way to increase the difficulty. 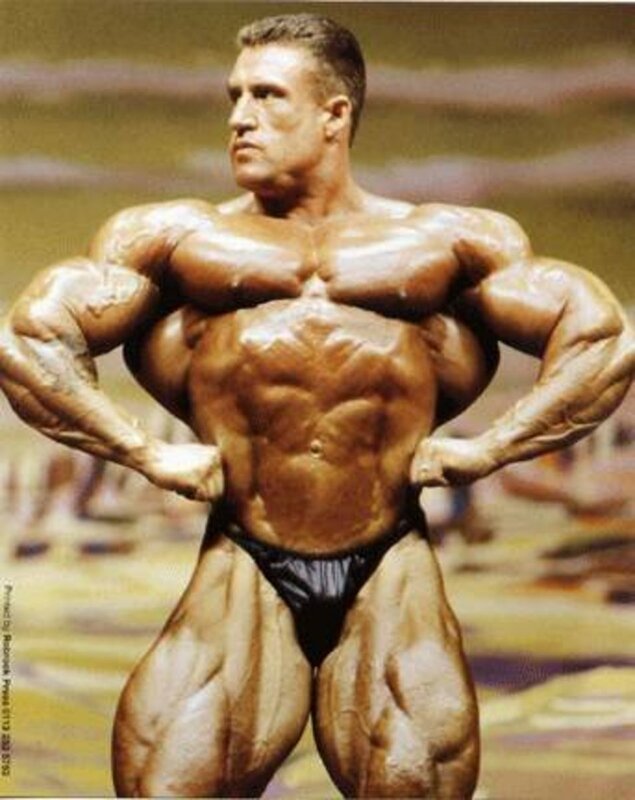 Moving your hands farther apart to use a wide grip works your chest more. Do diamond push ups with a narrow grip to work your triceps more. To work your forearms do them on your knuckles or fingers. For more of a challenge you can try doing handstand or tuck planche push ups. 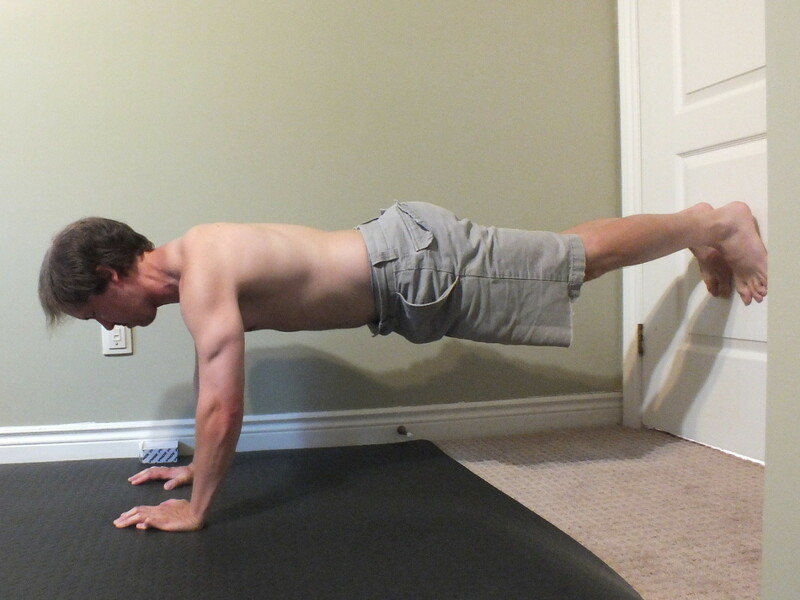 They are some of the hardest push up variations because you only use your arms. Your feet are off the floor. 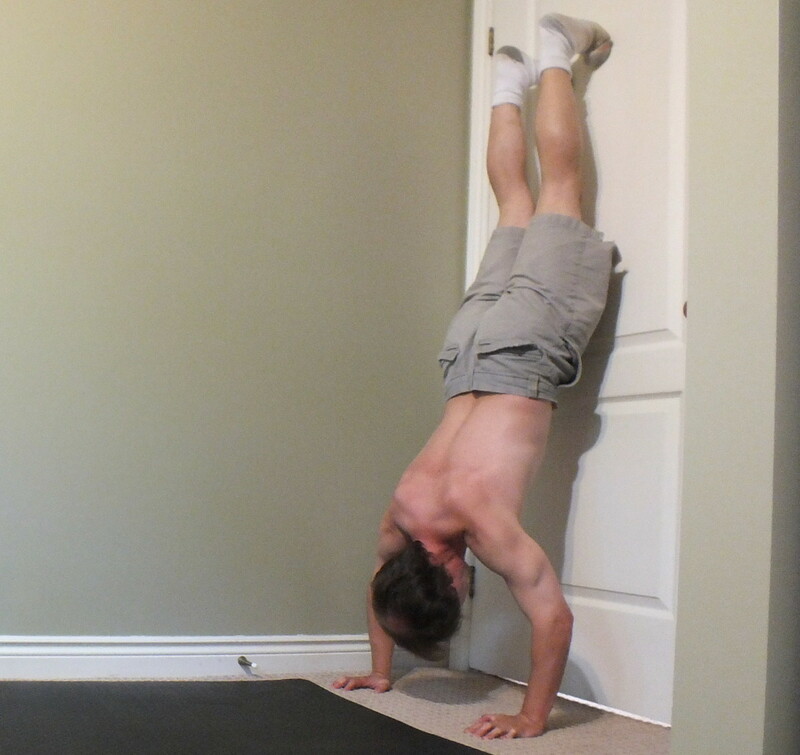 Before attempting freestanding handstands try doing them with one or two feet against a wall or door. The easiest way to workout your shoulders doing handstand push ups is to put your feet on something like a high bed. Bend your knees and walk your hands back. Then push yourself straight up. For this challenge they are done as a strength exercise. Start doing 10 push ups a day for 30 days. As the exercise becomes easier switch to more difficult variations. It is a challenge, so failure is a good thing. If you can't do 10 then do as many as you can before switching to an easier variation. Try to move on to more difficult variations as soon as you are ready. I started with regular push ups and worked towards doing finger push ups and push ups with my legs in the air. It will probably take a lot longer than 30 days to get good at doing the different variations. After 30 days or a month you can start the challenge over again. I did this challenge twice so far, for a total of 60 days. This challenge can be done in a minute a day and it can be done almost anywhere. You can make this challenge easier by increasing the number of reps or you can make it harder by decreasing the number of reps. It is like doing the bench press. Fewer reps means a shorter but more intense workout. How many push ups a day to get ripped? To get ripped you need to have a lean muscular body. Getting rid of the fat covering the muscles makes them easier to see. Doing push ups can help you get ripped but I did not get ripped when I was doing a 100 a day and I did not get ripped doing 10 a day. If you want to get ripped then make sure you include some cardio exercises. You may also need to go on a diet. If you have a significant amount of fat covering your muscles then focus on getting rid of the fat without losing muscle. Burn calories while building muscle and maintain a healthy diet. Avoid high calorie drinks and junk food. A push up workout is not going to work your biceps, glutes, calves, quads, hamstrings, abs and back hard enough. 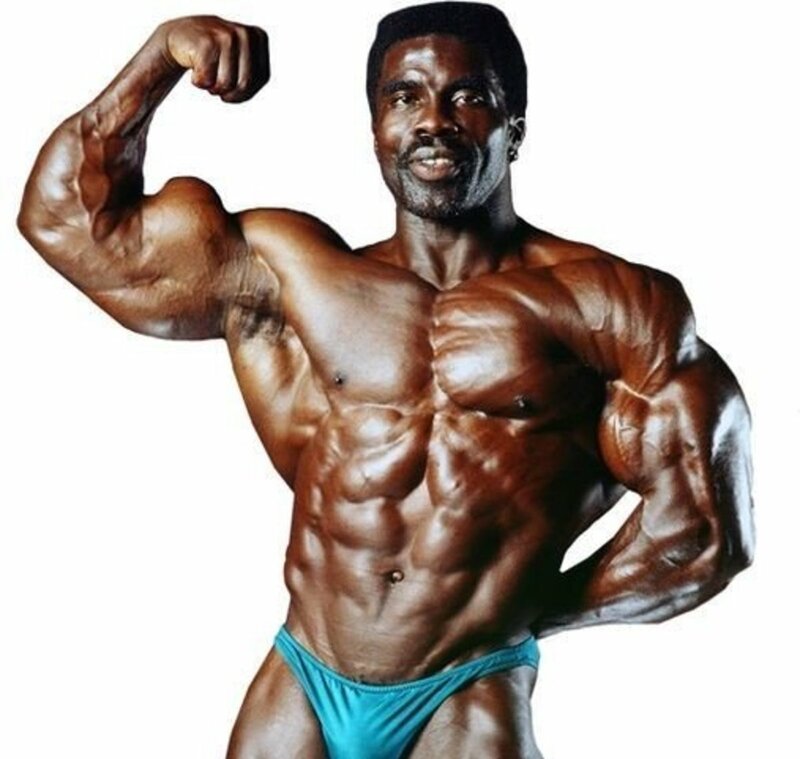 For a leaner more muscular body you should be working out most of your muscles. Include exercises like pull ups, bicep curls, leg raises, calf raises and step ups in your strength training workout routine. No amount of push ups is going to get you ripped if it is the only exercise you are doing. Do them as part of your workout routine and maintain a healthy diet. I did 10 push ups almost every day. Doing 10 reps takes around 30 seconds. The first thing I noticed was that my strength improved. When I started the challenge doing 10 in a row was difficult. I moved on to more difficult variations as my strength increased. During the challenge I did regular, decline, wall, wide grip, diamond, knuckle, diamond wall, finger, wall handstand, weighted diamond wall and tuck planche push ups. My triceps became bigger. They are the muscles on the back of the upper arm. I can see and feel the difference. My shoulders are bigger. Doing push ups gave me broader shoulders. It was easy to notice the difference in my triceps and shoulders while I was wearing a shirt. The workout also made my chest muscles bigger. I did not get rock hard abs. The exercises I was doing did not work my abs hard enough to get the results I wanted. The first few times I did knuckle push ups my knuckles hurt from pressing against the floor. Now I can do them without hurting my knuckles because my knuckles are tougher. After doing push ups on my knuckles I still could not do them on my fingers. To make the transition easier I started doing a quick forearm workout. My forearm workout made my fingers and wrists strong enough to do 7 finger push ups in a row. Some people may need to do 100, 200 or even 300 a day. I only needed to do 10 push ups up a day to see results. The key is to continue to challenge yourself by changing your routine. If you are strength training then I recommend 8 to 12. If you are doing it as an endurance exercise try to increasing the number you can do now by 30. You can keep increasing the number of reps or switch to other variations. Doing 10 push ups almost every day was enough to quickly increase my strength. That was obvious. You do not need to do 100 or more a day to see results if you do them as a strength exercise. Doing 10 a day increased the size of my muscles. That was obvious to me but not as obvious as the strength gains. My strength increased a lot faster than the size of my muscles.